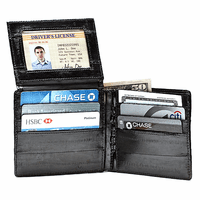 Say goodbye to messy and bulky wallets, and present yourself as an organized, in charge professional! 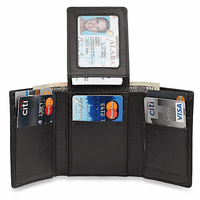 First impressions are the most important, and when you pull ot this genuine leather wallet that organizes up to seven credit cards, and has two flaps for receipts, you'll have their attention. 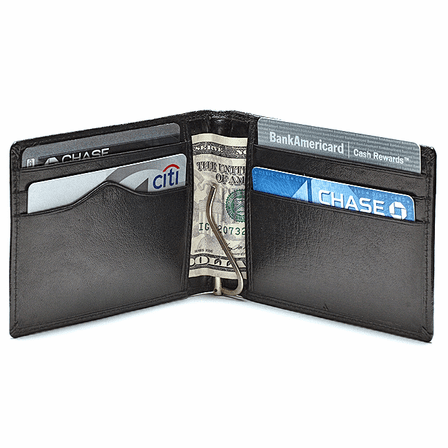 Add in the spring tension money clip that holds up to 20 folded bills, and closes to stay compact and lightweight in your pocket, and you'll have their business! 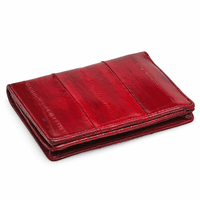 We will also personalize your wallet for free with up to 3 initials for an elegant custom look. Dimensions: 4 1/2" x 3 1/4" x 1/2"
How does one insert money? The metal clip is hinged. So it opens up, you slide the bills in and then clamp it down on the money. Does this item have RFID protection? No, it doesn't. 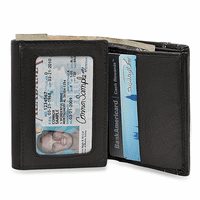 Any wallets that have RFID protection will say that they do. I'm looking for wallets with money clips inside for the groomsmen in my wedding party. This one looks perfect, can it be personalized? Where does the personalization go? Yes, this item can be personalized. We hot stamp up to 3 letters of your choice on the bottom right hand corner of the front cover. 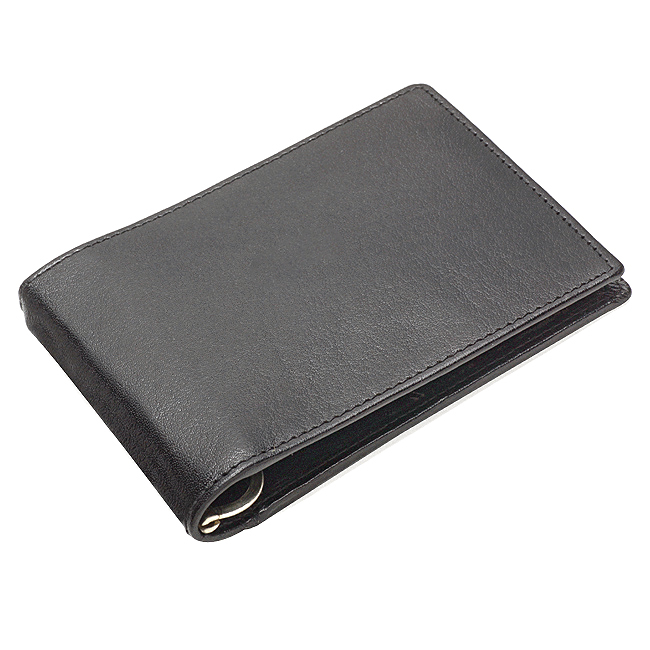 I gave this wallet to my husband, he loves the quality leather and very slim shape! I love the feel and smell of this wallet. It is nice and slim (when not backed to the gills) but has the capacity to hold lots of cards. I like the money clip, but be careful: if it unscrews there is a tiny ball and spring that may fall out. Overall, a great item that helps me enjoy spending my hard-earned money.